Early Saturday morning, we gathered at Tynecastle High School awaiting the rest of the group for the day. After a short drive we arrived at Newhailes Estate on the edge of Musselburgh to work with the NTS Ranger team. 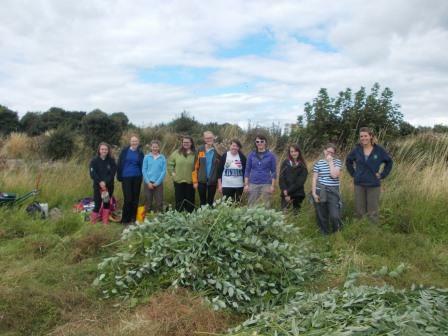 We spent our morning carrying out woodland management, cutting willow trees from the ground. While carrying it back to the yard, a caterpillar grabbed onto my jumper, which he refused to let go of! 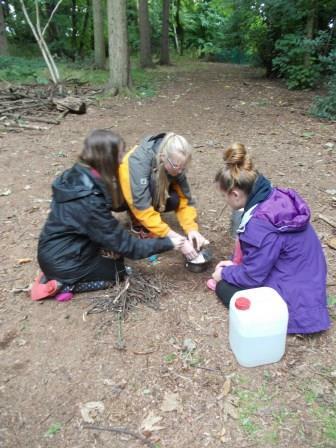 After lunch we found a clear area in the forest where we got some really successful storm kettles going, followed by building a small fire, on which we toasted marshmallows and made S’mores! 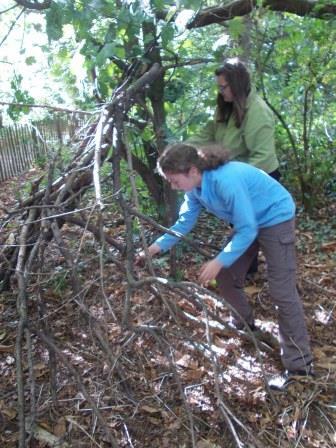 Then, we were given only 20 minutes to build a hurricane-proof shelter built from only resources such as sticks, logs and other natural things. 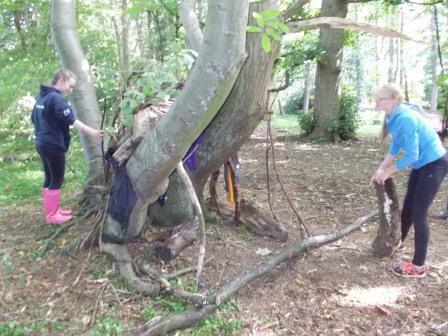 With the little time we had left of our wonderful day, we filled out some thought-provoking worksheets and had a chat about our highlights of the day, to which the majority of people’s responses were building the dens. I had a really good day with the green angels!